The Minister of State with Responsibility for Natural Resources, Fergus O’ Dowd T.D. today warmly welcomed the findings of a new national economic study which has revealed for the first time that angling and angling tourism in Ireland is generating a dividend in excess of €0.75 billion within the Irish economy every year. The study, commissioned by Inland Fisheries Ireland, shows direct spending on angling in Ireland amounted to €555 million in 2012, with indirect spending worth an additional €200 million and totaling €755 million. Recreational angling was also found to directly support 10,000 existing Irish jobs, many of which are located in the most peripheral and rural parts of the Irish countryside and along our coastline. The Study found that 406,000 people were involved in recreational angling in Ireland last year, with over 150,000 of these travelling from Northern Ireland and overseas. Over a quarter of a million Irish adults (252,000) held a fishing rod last year with sea angling along with salmon and brown trout angling seen as the most popular categories where domestic anglers are concerned. The quality of the Irish angling product, the friendliness and hospitality of the Irish people and our outstanding scenery were cited amongst the principal attractions of Ireland as an international destination for recreational angling. 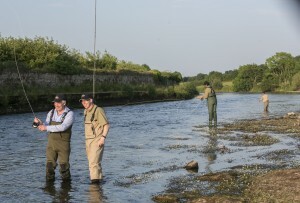 Tourism angling spend is estimated at approximately €280 million on an annual basis. Speaking at the launch of the Study entitled Socio-Economic Study of Recreational Angling in Ireland in the Royal College of Physicians in Kildare Street, the Minister admitted that the findings had come as a surprise, as this was the first national survey which was able to put a value on angling to the Economy and that up till now the economic significance of the sector had been greatly under-estimated. 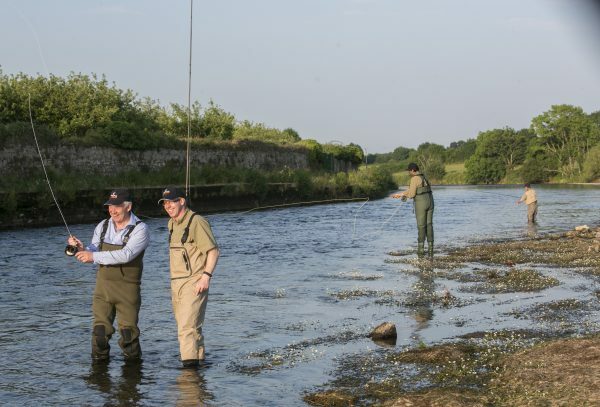 He said the Study not only highlighted to him the major economic impact that angling makes to the Irish economy, but it also underlined the need to continue to protect and nurture this valuable resource, if it is to be allowed to develop and grow to achieve its full potential. The study, which was commissioned by Inland Fisheries Ireland in early 2012 and undertaken by consultants Tourism Development International, was undertaken to help underpin effective strategic planning and decision making in respect of the angling product’s development and marketing. The study can be downloaded from www.fisheriesireland.ie/AnglingStudy2013. Total tourist angling expenditure can be estimated at approximately €280 million. Recreational angling estimated to support approximately 10,000 jobs. 39% of anglers had travelled with family or friends while 29% travelled alone. Competitor destinations have advantage over Ireland in terms of perceived better management of their fisheries.